ORDER SAME SIZE AS A WELL FITTING TENNIS SHOE. Is designed to deliver comfort from every part of the body by utilizing a technologically cushion insole and a 1/8" foam filler between the insole & leather outsole. The cushion insole has superior shock absorption capabilities & remains flexible even in temperatures as low as -40 degrees F. Unique cell structure allows perspiration to pass through the insole and also resists foot odor, moisture and heat. 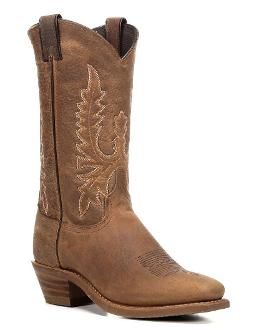 THIS BOOT will ship direct from MFG via UPS. They do not ship same day the order is placed. The MFG is closed on Fridays. PLEASE ALLOW 7-10 DAYS for a delivery time.